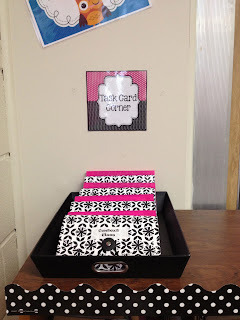 Pinkadots Elementary : Task Card MANIA!! I had to share my new found LOVE for Task Cards. I actually fell in L O V E with them last year, but this year I created a Task Card Corner that is not only awesome, but will be sure to help my students progress this year. I introduced task cards into my classroom last year, but wasn't too sure how effective they would be. As the year went on, I started to notice that they were really helping my students progress. Theresa and I decided to dedicate a lot of time and created an abundant amount of task cards. I organized all of our creative task cards and created my "Task Card Corner!" 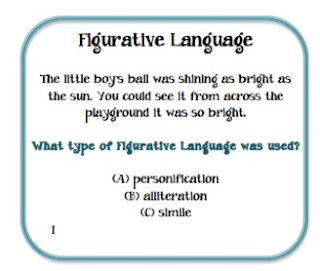 Figurative Language Task Cards - These are so helpful because students have a difficult time understanding the different types of figurative language. 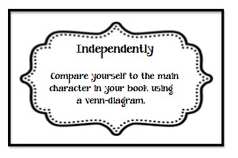 This also helps to improve their writing! 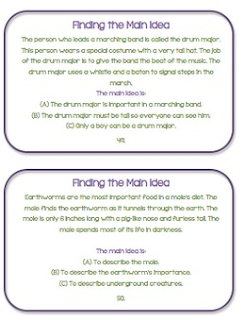 Main Idea Task Cards These are probably my favorite because I have so many students who struggle with identifying the main idea. It's such great practice! 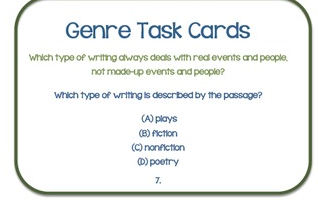 Genre Task Cards - These are ALWAYS helpful because I ALWAYS have a few students ask me "What genre is this?" This helps them to learn the different genres so they don't need to ask me anymore! 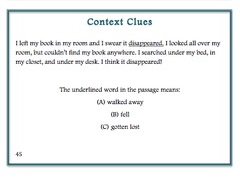 Context Clues Task Cards - These are another one of my favorites because students are ALWAYS struggling with using context clues to help understand unfamiliar words. This is my pride and joy because it really helped my students progress on our district assessments. I was flabbergasted by the progress of my struggling readers! 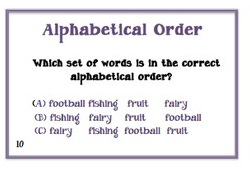 Alphabetical Order Task Cards - I know I teach 4th grade, but you would be surprised how many students find it difficult to put words in alphabetical order!! This was a great tool last year to help my students become better at this skill. 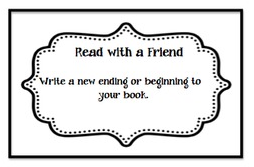 Reading Task Cards - with a FRIEND or INDEPENDENTLY -These are great because every card gives them a job to do and can be applied to any book! They can either pick a card to do with a friend or do it independently. I like to use these for my fast finishers. I always like to give them meaningful work (or what's the point?) and I feel like extending their thoughts regarding their just right book is perfect! Accountable Talk Discussion Task Cards -These were a LIFESAVER this year!! With the new CCSS we really need to hold students accountable to participating in discussions, teacher lead and student lead. 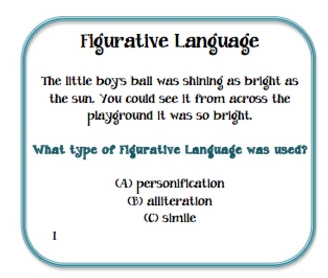 This really helped my students to learn the language and apply it! As the year progressed we moved away from these cards because my class didn't need them anymore!! Yahoo!! If you haven't jumped on the task card band wagon yet, you SHOULD!! They are an amazing tool and really helped my students progress last year, I can't wait to introduce them this year as well as show off my new Task Card Corner! wow these are AMAZING! Great job! I am jumping on the task card train for this year. Hi! I can't wait to try these out. 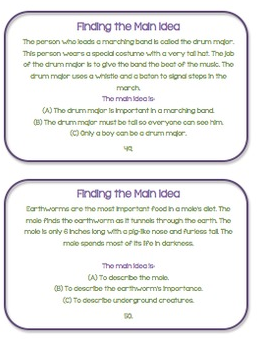 One thing--your link for the alphabetical order task cards takes you to the context clues task cards on TpT. I LOVE task cards, too. I always keep them in my "What to do when I'm finished" bin! They are SO helpful :) Yours look great! I love your Accountable Talk card set. Terrific idea, and should help me get my students to have better conversations and respond to each other rather than just talk over each other. How do u manage the work from the cards? Do the kids hand in when complete? Do they hold in a fold? Do you grade all this work?